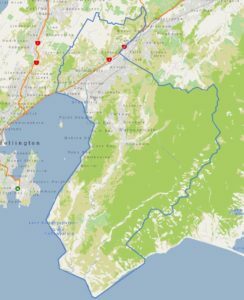 In June 2015 we purchased Freedom Lower Hutt as we wanted to do something that we both enjoyed doing that included paying it forward to our local community. We started off with one vehicle but soon we realised there was demand for an affordable companion driving service so we purchased our second vehicle within 6 months. We chose the Grand Suzuki Vitara as it is easy for our clients to get in and out of. Since we started we have met many people out in our community that are now good friends and we enjoy providing a very friendly and personal service in our local area. Please call us for a pre quoted price for where you need to go and what you need to do and you will be guaranteed a smile on your travels! My husband and I recently had the misfortune of both injuring ourselves in separate accidents at the same time. This meant neither of us could drive for about 7 weeks. 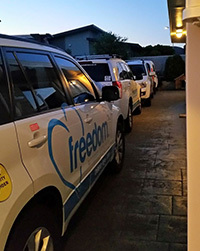 With 2 small children to get to school, and clients to meet, Louise at Freedom Driving really came to our rescue. Louise was a Godsend and I think I would have gone out of my mind without her. I really trusted her and her friendly staff to take my 6 and 8 year olds to school each day. Nothing was too much trouble. I would recommend her to anyone. Freedom Companion Driving Service is dedicated to providing a convenient, friendly and safe transport option.